Select the Year & Option of your Camaro to view available Brake Kits. In 1964, Chevrolet Management executives were taken by surprise when Ford introduced the new Mustang; they didn’t have a car that could compete with the fast selling new model. There wasn’t even a viable competitor on the drawing boards, and the Nova was losing a tough competition with the Falcon. Word came down from management to build a Chevrolet that could compete with the Mustang, but that wasn’t an easy assignment. To expedite the process, engineers and stylists designing the ‘68 Nova used that platform as a base for the new model. Stylists determined that a single body design, like that of Ford’s notchback and fastback styles, would be faster and more cost-effective to produce and since the Mustang convertible was also selling well, that too had to be part of the design process. The end result was the new Chevy offering called the Camaro. Pontiac soon jumped on the bandwagon and started working on a Camaro offshoot called the Firebird to compete with Ford’s upgraded Cougar. Management, as well as the engineers and stylists, wanted the car to be more attractive, have more power and handle better than the Mustang, plus it had to sell for a comparable price. Chevy engineers and stylists were working hard and fast to bring their new car to market without compromising quality. In 1967 the Camaro was ready to hit dealership showrooms. The new Camaro was built as a unibody from the firewall back. The body bolted to a rectangular steel sub-frame that was outfitted with double A-arm suspension capable of supporting the front sheet metal. The car also featured a solid rear axle riding on parallel leaf springs and was equipped with drum brakes with optional front discs. Similar to the Mustang, the base engine was a 235ci straight six, hooked to a three-speed stick transmission. While Chevy was designing the Camaro, Ford was entering the muscle car market with a strong running 390ci engine in the Mustang. Chevy had to come up with some high performance engine options to compete with the small and big-block Ford performance engines. 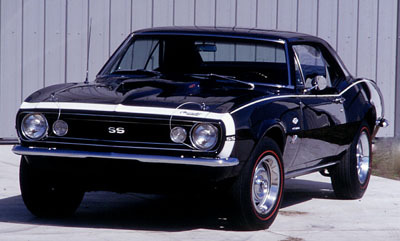 The Super Sport Chevys were always the top-of-the-line performance cars, so the Super Sport Camaro was outfitted with a totally new, Camaro only, 350ci engine that was rated at 295 horsepower; more than a match for the high performance Mustang 289. The Camaro could also be optioned with the 325 horsepower 396ci engine and a special order, 375 horsepower 396 was also available. The top model would be a RS/SS Camaro with the big 396. Chevrolet offered the Rally Sport option with nice trim additions and hideaway headlights. The new Camaro was built to handle well and a few changes were made by engineers to make it handle even better. While Chevy was perfecting the Camaro, Ford was dominating in SCCA road racing, prompting Chevy to create a new series for Trans Am racing. The engine size in Trans Am racing was limited to 305ci, so engineers at Chevy dug into the Camaro bag of tricks and bored a 283 block to four inches, giving the engine 302ci. 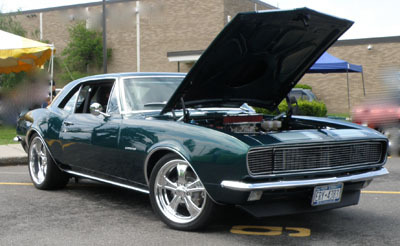 The engine was equipped with a Camaro high lift, solid lifter camshaft, Camaro big port heads, and an aluminum high-rise intake manifold, topped off with a 780cfm carburetor. The new car was named after its RPO option code Z/28. The 302ci engine was rated at 290 horsepower but that was a gross underestimation that could quickly be seen when they were on the track competing. In 1967 the Camaro paced the Indy 500 using an RS/SS 396 convertible; the pace car option was made available to the public. The Z/28 didn’t take off as expected because American muscle car enthusiasts liked big-block power. Most buyers opted for the 350 because it had 295 horsepower, while the 396 had 325 horsepower or 375 horsepower, depending on which one was ordered. The little 302 had an advertised rating of 290 horsepower, so it looked small in comparison but was actually producing more horsepower than the lower horse big-block and was much lighter. It took a few years for buyers to catch on, but production figures grew each year: in 1967, 602 were built, in ‘68, 7,199, and in ‘69, 20,303. The ‘68 Camaro was very similar to the ‘67, but it was the first year for Astroventilation so the vent windows were eliminated. The high performance engine options remained the same except in ‘68 when a 350 horsepower 396 was added to the option list. The ‘67 Camaros experienced wheel hop in quick starts, so the ‘68 Camaros received staggered shocks with one in front of the rear axle and one behind. The Camaro also received some small trim changes for the ‘68 model year. Chevy decided on a two-year model change cycle for the Camaro; however, the second generation Camaro that was being designed and engineered was taking longer to finish than expected. Consequently, the designers made a few, nice changes to the ‘68 Camaro body and released the ‘69 Camaro, which ultimately became a classic. The Camaro looked lower and more muscular due to the bodyline and wider because of the grille design. Chevy enthusiasts loved the new car. The regular performance engine options were retained, but management signed off on two special Central Office Production Orders: 9560 and 9561. COPO 9561 allowed the installation of 427 steel block engines in Camaro Sport Coupes. 1,015 were produced with many going to special performance dealerships, and COPO 9560, for drag racers, allowed an aluminum 427ci engine to be installed in a Camaro Sport Coupe. Both 427 Chevy engines produced 425 horsepower and the lightweight aluminum version was doing great in Super Stock drag racing. Just ‘69, aluminum 427ci powered Camaros were built for drag racers, making them desirable collector cars today. The aluminum 427 Camaros sold for about twice the price of a regular one. 1969 was also the best year for Z/28 Camaros because a new cowl induction hood was released, and along with the front and rear spoiler, the car looked fantastic. The engine block was also strengthened and had a DZ designation for identification. Wilwood recognized the performance and popularity of Camaros early on, so the company developed several disc brake kits that will allow them to perform as well as a brand new car. Since the Nova and Firebird share the same platform as the Camaro, the brakes kits fit them as well. If you have a ‘68 or ‘69 Camaro with disc brakes, you can make a quick and low-cost improvement by installing Wilwood D52 calipers that are a direct bolt on to your existing brackets. The calipers are available in your choice of red or black finish. If you are building a Pro-Touring style Camaro you may want the Dynapro Big Brake Front Brake Kit, part number 140-10510, featuring Dynapro six-piston calipers in red or black finish along with 12.18 rotors in a standard or drilled and slotted style. Wilwood also offers the Superlite 6R Big Brake Front Brake Kit, part number 140-9803, with Forged Billet Superlite six-piston calipers in a black, red or polished finish that work with 12.99-inch rotors in a slotted or drilled and slotted style. If you are looking for a nice brake system that will fit behind your original 15-inch Rally Wheels, order the Forged Dynalite Pro Series Front Brake Kit, part number 140-10996, featuring Forged Dynalite calipers in red, black or polished finish and used with 11-inch rotors in standard or drilled and slotted styles. Wilwood also makes a large, W6A Big Brake Front Brake Kit, part number 140-10920, that is perfect for pro touring enthusiasts. 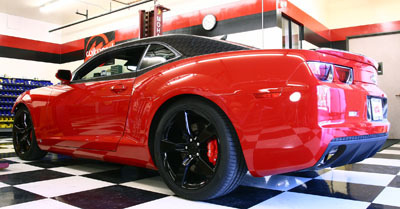 The kit features W6AR six-piston calipers in red or black finish. The calipers work with 14-inch rotors in a slotted or drilled and slotted style. Wilwood also makes the Forged Dynalite, Front Drag Brake Kit, part number 140-1017-B, a drag racing brake kit that is 30 pounds lighter than the stock system. This kit features Dynalite, four-piston calipers and works with 10.75-inch rotors in a standard or drilled style. Plus, Wilwood offers rear brake kits for the Camaro such as the Forged Dynalite Rear Parking Brake Kit, part number 140-7149, featuring Forged Dynalite, four-piston calipers in black, red or polished finish. The calipers work with 12.19-inch rotors in a standard or drilled and slotted style that works with the internal drum parking brake system. Additional kits are available to fit your particular application. Chevy engineers and stylists were doing their best to meet the new ‘70 Camaro- release date, but that came and went. The existing ‘69 Camaro was sold from September through December, so it is possible to see some ‘69 Camaros registered as a ‘70’s model. After a long wait and much anticipation, the new Camaro was finally released in February 1970. It was lower, longer, wider and heavier than the previous model, and many agree it was one of the most beautiful body styles Chevy, or any other company, had ever produced. The new Z/28 Camaro was subtle in comparison to the ‘69 Z/28 Camaro’s wild graphic design. However, there was nothing subtle about the engine, a 360 horsepower 350ci LT-1 that was also used in the -Corvette. The Camaro version was the same but was rated at 370 horsepower. The engine was equipped with a four-bolt-main bearing block, free-flowing heads with 2.02-inch and 1.60-inch valves, a solid lifter cam, and it was equipped with an aluminum high rise intake manifold that was topped off with a large Holley carburetor. The parts used were similar to the strong running 302, Z/28 engine with more cubic inches. According to magazine road tests, the new Z/28 ran the quarter mile in 14.2 seconds at 100.3 miles per hour, but with a few minor tuning tricks the Camaro would get into the high 13s. The Camaro also optioned the Super Sport package and it offered a 300 horsepower 350 and a 396 (actually a 402) engine rated at 325 and 375 horsepower. Chevy also offered a Rally Sport option that included trim additions and a nice looking split front bumper. This was also the end of the two-year car cycle because the second generation Camaro body design ran from 1970 to 1981, with only small engineering and design changes to meet fuel regulations and safety requirements. Stylists and engineers building the Camaro and Firebird met their goal of having a body that would last for 10 years or more. In an effort to meet government fuel and emission mandates, the engine performance suffered throughout the ‘70s, but by the ‘80s things started to improve. In 1971 car companies were mandated to meet emissions and fuel standards. Subsequently, the engine compression was dropped and emissions equipment was added to many engines to keep them as clean as possible. Not only did the engines lose horsepower from the compression changes, but the horsepower ratings were changed from gross horsepower to net horsepower, making the numbers look even smaller. The Z/28 was still available, but now the horsepower for the LT-1 engine was rated at 275. The Z/28 Camaro body style was similar to the ‘70 model, but the spoiler was larger. The big-block engines were also available, but like the LT-1, the horsepower figures were low. In 1972 the LT-1 was still available and rated at 255 horsepower. The only 396ci engine that was available was rated at 240 horsepower. The early to mid ‘70s ushered in design and engine changes to the Camaro. In 1973 the Z/28 option was dropped from the line and replaced by the Type-LT, luxury Camaro. The LT-1 engine was no longer available and the horsepower figures for the other engines were lowered again. In 1974 new bumper regulations were mandated, revising the body with big clunky bumpers. The ‘75 Camaro looked similar to the previous model and three engine selections were available: a 250ci six-cylinder, a 145 horsepower 2-barrel 350 and a 155 horsepower four-barrel 350. The top 350ci engine was rated at 165 horsepower. The rear window became a wraparound for better visibility, and the Rally Sport came back with two-tone paint and stripes. The 1976 Camaro was similar to the ‘75, but an aluminum panel was placed between the tail lights on the Type-LT model. The two-barrel 350 was discontinued and replaced with a 305. The big change for 1977 was the reintroduction of the Z/28 Camaro. Pontiac continued to build the Trans Am, selling them as fast as they could build them. The Trans Am was the only affordable and nice looking big-block performance car that was still available in the mid-‘70s and obviously, there was a big market. The Z/28 received some body identification changes, and was powered by a 170 horsepower 350. In 1978 the Camaro received plastic covering on the bumpers making the car look nicer, but the Z/28 was still the top performer. To compete, Chevy bumped the power on the Z/28 engine to 185 horsepower. 1978 was also the first year for factory T-tops on all models. The 1979 Camaro was the most popular model of the ‘70s. The Type-LT model was dropped and a Berlinetta replaced it. The engine options remained the same, but the Z/28 horsepower decreased to 175 horsepower. The instrument layout was also an improvement over previous Camaros. In 1979 Chevy sold 282,571, an all time record. After the record-shattering year, Chevy wanted to improve fuel economy, so engine selections were revised. The base engine was a 115 horsepower, 229ci V6 engine. In California the Camaro received a 110 horsepower, 231ci V6. Next up was a 126 horsepower 267ci V8 engine. Fortunately, the Z/28 350 engine had 190 horsepower except in California, where it was powered by a 155 horsepower 305ci engine. After the engine downgrade, only 152,005 Camaros were sold. The buying public wanted more horsepower, not less. In 1981, the final year for the second generation Camaro, the car received a computer and models being offered were the base Sport Coupe, the Berlinetta and the Z/28. Although the Camaro lost engine performance due to new standards in emissions, fuel economy and lower octane fuel, they maintained their good looks and could be turned into performers with a little work. The engineers at Wilwood saw potential in the ‘70s Camaros and offer several brake improvement kits for the ‘70-‘78 model Camaro and Firebird. Similar to earlier models, if your Camaro is equipped with a standard brake arrangement, the Wilwood D52 caliper is an easy upgrade that can be installed in a couple of hours. The calipers offer superior clamping force and are available in red or black finish. If you want to make a big change, your Camaro’s stopping power can be vastly improved using Wilwood’s Dynapro 6 Big Brake Front Brake Kit, part number 140-10738. The brake improvement kit features Dynapro six-piston calipers in a black finish and 12.19-inch rotors in a standard or drilled and slotted style. 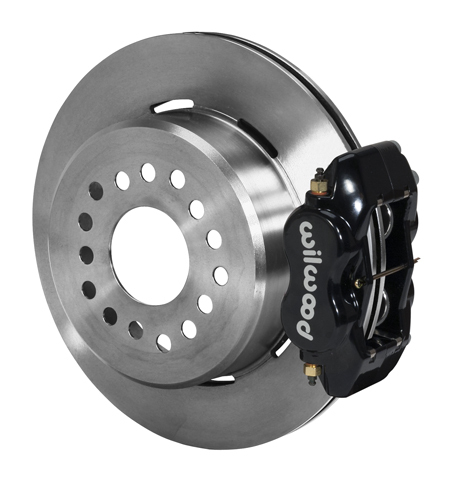 If you are building a pro-touring style Camaro or if you just like the best of everything, you can order the Wilwood Dynapro 6 Big Brake Front Brake Kit, part number 140-10485. This kit features Forged Superlite 6R six-piston calipers in red or black finish and large 12.88-inch rotors in slotted or drilled and slotted style. If you want improved brakes but you are restoring the car and want to retain the original 15-inch wheels, you can install Wilwood’s Forged Dynalite Pro Series Front Brake Kit, part number 140-11007. This kit features Forged Dynalite 4-piston calipers in a black finish and 11-inch rotors in a standard or drilled and slotted style. Additional kits are available for your particular application. If you are drag racing and want a lightweight brake kit, Wilwood makes the Forged Dynalite Front Drag Brake Kit, part number 140-1019-B. The kit features Forged Dynalite four-piston calipers that work with 10.75-inch lightweight rotors in a standard or drilled style. 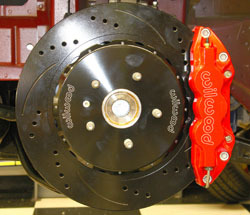 Wilwood also offers a rear brake kit for Camaros, the Forged Dynalite Rear Parking Brake Kit, part number 140-7149. The kit features Forged Dynalite four-piston calipers in red or polished finish. The calipers work with 12.19-inch rotors in a standard or drilled and slotted style, and they are designed to work with the internal drum parking brake system. Throughout the ‘70s, engineers and stylists were making changes to the Camaros, including a beefed up spindle for the 1979 model. Wilwood offers several great brake improvement kits that work with these stronger spindles also found in Pontiacs. If you want to bring that Camaro down from speed, you can start with the Wilwood Superlite 6R Big Brake Front Brake Kit, part number 140-10492. This kit features SL6R Forged Billet six-piston calipers in black or red finish and 12.88-inch slotted or drilled and slotted rotors. If you want even more braking power, you can install the Superlite 6R Big Brake Front Brake Kit, part number 140-10493, on your Camaro. This kit features SLR6 six-piston calipers in red or black finish and 14-inch rotors in a slotted or drilled and slotted style. If you want a kit that will improve your stopping power and work great with your 15-inch rally wheels, you can install the Forged Dynalite Pro Series Front Brake Kit, part number 140-11008. The kit features Forged Dynalite calipers in Black and 11-inch rotors in a standard or drilled and slotted style. Additional kits are available for your particular application. Wilwood also offers a lightweight Forged Dynalite Front Drag Brake Kit, part number 140-8175-B, for drag racers. The kit features Forged Dynalite 4-piston calipers in a black finish. The calipers are designed to work with the lightweight 10.75-inch rotors in a standard or drilled style. The third generation Camaro was significantly different from previous models; it was smaller and 500 pounds lighter with a complete unibody. The model was equipped with MacPherson Strut Suspension in the front and a long torque arm and coil springs in the rear. Fuel-injected engines were offered starting with a 90 horsepower 2.5-liter four-cylinder engine; a 112 horsepower 2.8-liter V6 engine; a 145 horsepower 305ci engine; and the Z/28 165 horsepower 305ci engine with Cross Fire Injection. The transmissions were also changed to a four-speed automatic with overdrive and a five-speed manual with overdrive. In an effort to meet emissions more effectively, the ‘80s models were equipped with computers and this became the turning point in making engines both powerful and emissions compliant. The new Camaro was asked to pace the Indy 500 once again, but none of the original engines had the power to do it, so the pace car was outfitted with a highly modified 350 engine that wasn’t offered to the public. The 1983 Camaro looked just like the ‘82 but there was a mid-year engine change for the Z/28 to the ‘69 305 5.0 liter H.O., rated at 190 horsepower. In 1984 the Camaro remained similar to previous models, the Z/28 L69 engine was improved, and Chevy dropped the Cross Fire Injected engine because there was a new engine on the drawing boards. This was the first year for the new 700R4 overdrive, automatic transmission because Chevy needed a stronger transmission to harness the horsepower that was coming. Things started changing for the better in 1985 when Chevy was sponsoring the IROC races. The standard Camaros remained similar to the previous years’ including the Z/28 Camaro. The top performance car in 1985 was the IROC Z and it featured new graphics, a hood with large louvers and improved ground effects. The IROC also featured new 16-inch five-spoke wheels, gator back tires and a new Tuned Port Injected 305 engine delivering 215 horsepower. The Tuned Port engine could only be ordered with the automatic transmission, due to emissions restrictions. The popular IROC was hard to get in ‘85 because production was low. In 1986 the IROC became a good seller and the only visible change was the location of the now mandated third brake light. It was installed in a pod just above the rear hatch. The Camaro engine options remained the same including the 215 horsepower IROC engine. Some big changes started happening in 1987 with the introduction of a convertible, the first in regular production since 1969. The IROC remained a hot commodity with buyers and Chevy decided to make it even hotter with the introduction of the new Tuned Port Injected 350 engine rated at 225 horsepower. The four-cylinder engine was dropped due to lack of interest. In 1988 Chevy dropped the Z/28 designation and used the IROC package as the top performance option. The standard Camaro was now offered with optional Z/28, five-spoke wheels and the ground effects package. The Z/28 170 horsepower engine was also optionally available. Chevy released a new performance package for enthusiasts who were interested in road racing. The 1LE package included the 305 and 350ci Tuned Port Injected engines, oversized brakes, an aluminum drive shaft and improved suspension. It was built to win showroom stock road races. The ‘89 Camaro was very similar to the ‘88 but the RS (not Rally Sport) package was brought back and it was a trim level that included improved wheels, ground effects, and a rear spoiler that could be installed on the base Camaro. The IROC was still the top performance package and continued to be until 1990 when Chevy dropped the sponsorship. In 1991 Chevy brought the Z/28 back as the top performance model, but Chevy enthusiasts were not happy about the loss of the IROC designation. There was a new Camaro on the way, leaving the car essentially the same from 1991 to 1992. The 1982 to 1992 Camaros made advancements in engineering and performance; the start of good things to come. Enthusiasts became very interested in cars that handled well and many companies were making new shocks, sway bars and heavier springs for the early Camaros. These improvements allowed the cars to be driven hard on the streets and even heavier on the track. Brake fade on the track was inevitable with the original brakes so Wilwood introduced several really nice brake improvement kits for the Camaro. Enthusiasts running the original wheels and tires could order the Wilwood Forged Dynalite Pro Series Front Brake Kit, part number 140-11012. The kit features the Forged Dynalite four-piston calipers in black, 11-inch rotors in standard or drilled and slotted styles, hub assemblies, rotor adapters, caliper brackets, BP-10 Smart Pads and all the hardware needed to finish the installation. 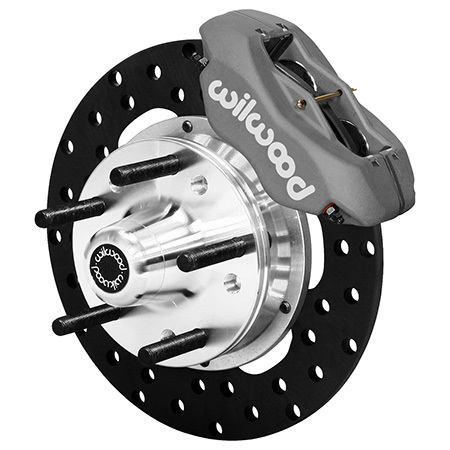 Enthusiasts with IROC Camaros that want superior stopping power could order the Wilwood Forged Dynalite Big Brake Kit, part number 140-11275. The kit features Forged Dynalite Calipers in black and 12.19-inch rotors in standard or drilled and slotted styles. If you want rear brakes, you can outfit your Camaro with a Forged Dynalite Rear Parking Brake Kit, part number 140-7148. The kit features Forged Dynalite four-piston calipers in a black or red finish. The calipers work with 12.19-inch rotors that are available in a standard or drilled and standard style and are designed for use with an internal drum parking brake system. A larger rear brake is also available, the Superlite 4R Big Brake Rear Brake Kit for OE Parking Brake, part number 140-9830. The kit features forged billet four-piston calipers in red or black finish and work with the 12.88-inch rotors in slotted or drilled and slotted styles. The superior Wilwood brakes work great for everyday use or they can be used on the track for superior stopping power without brake fade. The fourth generation Camaro was introduced in 1993. The body design and front suspension were different from the third generation, but the floor and rear suspension was a carryover and rack and pinion steering was now offered. The new body was rounder, and to improve aerodynamics, the windshield was sloped backward. Chevy made a lot of nice changes to the car including the rear spoiler that was carried into the body design. The top performance package was the Z/28 and it included the new LT1 (not LT-1) engine that was under rated at 275 horsepower. 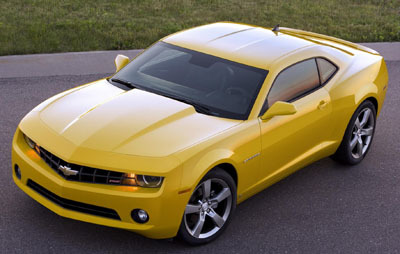 The Camaro was offered with two models: the base sport coupe running a 160 horsepower 3.4-liter V6 and the Z/28, both very similar in design. A black roof distinguished the Z/28 from the other models and it was used on all of the Z/28s no matter the body color. The LT1 engine featured 275 horsepower in the Camaro and 300 horsepower in the Corvette but both were exactly the same, so taking the net to gross horsepower ratings into account, this engine was as powerful as the original LT-1 engine released in 1970. The quarter mile elapsed time of 14.2 seconds for the Z/28 will verify the horsepower figures. This new model featured a four-speed automatic transmission and a six-speed manual transmission. The 1993 Camaro was also selected to pace the Indy 500, and this time no changes were necessary because the new Camaro had plenty of power. The 1994 Camaro was essentially the same as the ‘93, but the transmission was changed to an electronically controlled 4L60E transmission. The convertible returned in 1994 and it could be ordered as a regular Camaro or a Z/28. The ‘95 Camaro was also very similar to the previous models but it was available with traction control and all weather tires. The ‘95 also received a new 200 horsepower V6 engine that was available as an option. In 1996 the Z/28 horsepower jumped to 285 and a SS package became available. The SS package was a performance option that increased the engine horsepower to 305, the first to break the 300 horsepower barrier since 1971 and the first using net ratings. The SS model had new badges to identify it, but overall it remained subtle, just the way Chevy wanted it. In 1997 Chevy celebrated the Camaro’s 30th anniversary with a special edition model that features white paint with orange stripes and orange houndstooth upholstery. This color scheme was originally used on the ‘69 Pace Car Camaro. This was a good selling model with 95,812 cars sold. Chevy finally got it all together in 1993 when they introduced the new Z/28 Camaro running the LT1 engine. One ride in the new Camaro and it was obvious that everything was improved. Using computer technology and improved fuel injection, the engineers at Chevy were able to get old time performance out of a new engine. The Z/28 accelerated equal to a ‘70 model and handled like a road racer. The only weak area was the brakes, so Wilwood offers a few kits that will make vast improvements in stopping power on the street and on the track. The Wilwood brake improvement kit is the Superlite Big Brake Front Brake Kit, part number 140-6743. This kit features SL6 six-piston calipers in black and 12.88-inch rotors in slotted or drilled and slotted styles. 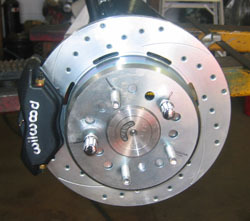 Wilwood also makes a Forged Dynalite Rear Parking Brake Kit, part number 140-7148, for the ‘93-‘97 Camaro. The rear kit features Forged Dynalite four-piston calipers in black or red finish, 12.19-inch rotor in slotted or drilled and slotted style and they work with the internal drum parking brake. With the front and rear kits installed on a ‘93-‘97 Camaro, the cars are ready for high performance street or track action. Chevy finally decided to make an improvement on the Camaro, so they changed the front fascia with new headlights and a grille change. Chevy made the styling upgrade because they knew the present Camaro body style was outdated. What buyers really liked about the updated Camaro was the new aluminum LS-1 engine option that was producing 320 horsepower. Sales for the updated Camaro were still respectable with 77,198 cars being produced. In order to make a profit, Chevy needed to sell 50,000 cars. This was happening at a time when SUVs and pickup truck sales started to increase and without any marketing for the Camaro, sales were dropping. From 1988 to 2002, truck sales continued to rise along with the Camaro’s selling price. There was also a fluke year in 2001 when only 29,009 Camaros were built so a decision was made to discontinue the model. In 2002 sales popped back up to 42,098 with little marketing behind the car, but once a decision was made at GM, it was too late to redesign a new Camaro. Chevy enthusiasts were not happy about the decision and they let Chevy know it. As it turned out, the enthusiasts were right. 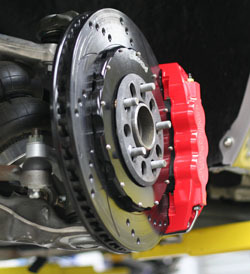 A suspension change was made in 1998 when the Camaro front fascia was redesigned so Wilwood geared up to make several new brake kits for the powerful new Camaro. The following kits will also fit the ‘93 through ‘97 Camaros if the cars are upgraded with the ‘98 through ‘02 spindles. If your Camaro is used for road racing you can order the Superlite 6R Big Brake Front Brake Kit (race), part number 140-7190. The kit features Billet Superlite BSL6R/ST six-piston black calipers with Thermlock pistons, 12.90-inch directional vane rotors, forged aluminum hubs, caliper brackets, friction race compound pads, stainless brake lines and all of the hardware required to complete the installation. If you have a Camaro that is street driven or just occasionally track driven we have three kits that will improve your brake system. The Superlite 6R Big Brake Front Brake kit, part number 140-7763, is perfect for your car. The kit features forged billet Superlite six-piston calipers in a black finish along with 12.88-inch slotted or drilled and slotted rotors. Two similar kits are available: part number 140-9833 features 13.06-inch rotors and part number 140-9834 features 14-inch rotors. Some road racing classes only allow four-piston calipers so Wilwood offers the Superlite 4R Big Brake Front Brake Kit (race), part number 140-10691, for your track star. The kit features billet Superlite BSL4R/ST calipers with thermlock pistons, 12.19-inch directional vane rotors with forged billet hats, caliper brackets, race compound pads, hoses, and all of the hardware required to complete the installation. The later model Camaros have also been turned into drag cars so Wilwood designed a Dynapro Radial Front Drag Brake Kit, part number 140-10786, that will dramatically reduce the weight of your brake system. The kit features forged billet Dynapro four-piston calipers and 11.75-inch 3/8-inch wide steel rotors. A similar kit, part number 140-10787, is also available but it features 0.81-inch wide rotors. Wilwood also offers a rear brake kit for the Camaros, the Superlite 4R Big Brake Rear Brake Kit for OE Parking Brake, part number 140-9830. This brake kit features billet Superlite 4R four-piston calipers in red or black finish and 13 or 14-inch rotors with an aluminum hat that works with the Camaro internal drum parking brake system. For eight years Chevy had the Camaro on the back burner while they saw Mustang sales, and the fascination potential buyers had for the Dodge Challenger show car, increase. Orders were coming in for the new Challenger before the car was even available and because of that, it was put into production. The management at General Motors decided to let the Chevrolet engineers and stylists build a Camaro concept car to gauge public reaction. Ford and Dodge stimulated interest by using retro styling, so the stylists at Chevy used what could be called "advanced retro styling." The concept car hit the show circuit and, being a big success with Chevy enthusiasts, was approved for construction. The Camaro was styled to look almost exactly like the concept car and the company didn’t hold back on the engine selection. The six-cylinder powered base model is called the LS, the mid-level car is called the LT and the V8 powered model is called the SS. The available six-cylinder engine develops 304 horsepower, while the V8 engine develops 400 horsepower for the automatic-equipped car and 426 horsepower for the six-speed manual transmission car. The new car turns the quarter mile in 13-seconds flat making it the fastest standard production Camaro ever produced. So far there have been 52,082, 2010 Camaros produced and of those 30,278 are V8 powered. When the new Camaro was released, Wilwood was busy designing a W6A Big Brake Front Brake Kit, part number 140-11269. The kit features W6AR calipers in red or black finish, 14.25-inch rotors in slotted or drilled and slotted style. This brake kit works fantastic on the street and can also be used on the track with excellent results. Wilwood also designed a rear brake kit, the W4A Big Brake Rear Brake Kit for OE Parking Brakes, part number 140-11270. The kit features W4AR four-piston calipers in red or black finish and 14.25-inch rotors in slotted or drilled and slotted styles. The front and rear disc brake kit works terrific and it also adds to the Camaro’s awesome appearance. Installs: 2010 Camaro Brakes 67-69 Camaro Brakes More Install How-To's . . .